There are plenty of reasons for concerned citizens to be wary of companies like Monsanto and Koch Industries. Between pollution, public deception, and political manipulation, these are corporations that have permeated our society with their GMO’s, chemicals, and corrupt policies. As consumers, we tend to believe that we can at least choose not to purchase the goods they are peddling. However, identifying the makers behind popular foods and cleaning supplies are nearly impossible at the grocery store without having to do a multi-hour internet search beforehand. Instead of lugging around your own compendium of brands to avoid, you can turn to a much more manageable smartphone app called, “Buycott“. Invented by 26-year-old Ivan Pardo, the program scans the barcode of a product, determines its manufacturer, and cross-checks the item against campaigns you have joined to see if it conflicts with your principles. The campaigns you can join either choose to avoid or promote certain goods or causes. The application already has a large database, but users can contribute information for those items that Buycott does not recognize. So far, Buycott has experienced a rush of new users, speaking to the concerns of communities across the nation. Although these businesses are massive and influential, this may be the first grassroots step in the effort to topple their hegemony. In the effort to combat climate change, we carpool, scale back our utility use, purchase carbon credits, and do our best to source our power from clean technologies. Yet, if we pay tuition, donate to non-profits, or have a stock portfolio, we may still be contributing to dirty energy. Many universities, local governments, and religious institutions have endowments or investments that benefit financially from fossil fuels. Seeing the support of coal companies, oil giants, and mining projects as antithetical to their moral and political proclivities, organizations across the nation are divesting from these markets. The Fossil Free campaign helps to organize and support those who wish to give non-renewable resources the boot. Over 300 colleges have already started their own campaigns, including Brown University who is slated to vote on axing 15 coal and mining companies from their endowment this month. Major cities, such as San Francisco have decided that exacerbating climate change was not in the best interest of the planet or the Bay. Those interested can visit the website and either begin a petition or join an already existing call to action. In addition to hosting a platform to collect signatures, Fossil Free also provides relevant articles, charts, and studies to help make a strong and well-informed case. As a strategy, taking away a source of revenue may be one of the quickest and most effective ways to halt fossil fuel infrastructure. Seeing as much of the industry has bought influence in Congress and around the world, pulling money away from conglomerates is one of the most powerful means of stopping a number of pipelines and mountaintop removals at one time. While it is true that companies such as ExxonMobil and Peabody Coal make billions of dollars and that the dissent of only a few small institutions may not at first make a huge dent, it is important to back up beliefs with concrete action. Not only igniting discussion and creating a PR nightmare, large endowments are responsible for billions of dollars themselves, and can make their voices heard if they decided to gather together to send a message and hit polluters where it hurts. Money could then be apportioned to back renewable energy and bolster a healthier, greener economy that would not only ease the burden of climate change, but give birth to a vibrant new market that benefits more small businesses and communities. The time has come to tell the fossil fuel giants that carbon is so very last century. May means flowers, stellar weather, festivals, and bicycles. Every year, bikes take over San Luis Obispo to celebrate National Bicycle Month. All around town, you can witness cyclists of all ages and backgrounds pedaling their way to work, on errands, or simply out to play. There are always a ton of fun events centered around the pedaling population planned by the San Luis Obispo County Bike Coalition, including the popular World Bicycle Relief poker run. 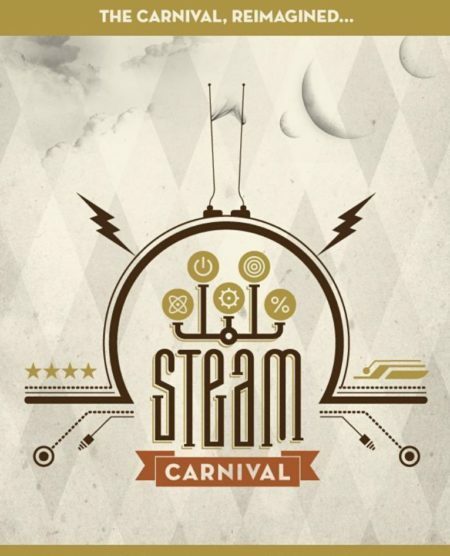 Taking place on Saturday, May 11 beginning at 9am, participants will compete for prizes. Starting at the Central Coast Brew Parking lot, players will wheel about downtown, stopping in at local businesses to collect cards and see who earns the best hand. Tickets can be purchased at most SLO bike shops, as well as right here at Bambu Batu! 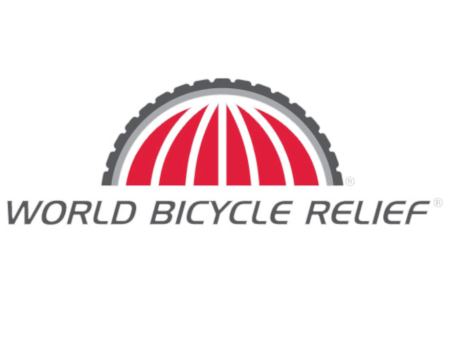 World Bicycle Relief is a non-profit organization that seeks to provide bicycles to rural developing nations. By designing frames specifically for rugged terrain, assembling them locally, deliver them to those in need and establish a maintenance network, WBR hopes to improve the lives for people who need inexpensive and efficient transportation. Founded in 2005 by F.K. Day and Leah Missbach Day in response to the Indian Ocean Tsunami, WBR collaborated with aid workers to distribute 24,000 bicycles. Soon after their success in Sri Lanka, other aid organizations based in sub-Saharan Africa looked to the group to establish a bicycle culture among the population. At present, WBR has helped to donate 120,000 bicycles and trained over 200 field mechanics. Not just for recreation, bicycles are essential to the health and economies of many developing communities. Bicycles allow children to attend school (70% of students that receive bikes are girls), make it possible for families to travel for groceries or water, help provide work and create jobs, and care for the environment. Healthcare workers are better able to visit communities affected by HIV/AIDS, and educate patients on how to prevent the disease. WBR partners with a number of other organizations that help to plant trees, conserve wildlife, and contribute to education. All of this made possible by generous, hard-working people and the beautiful and beneficial bicycle! Toyota was one of the first major manufacturers to embrace hybrid technology with their well-known Prius model. Now they are taking the idea of sustainability and green engineering one step further with the introduction of their ME.WE concept car. The sporty, compact vehicle uses a tubular aluminum frame and its panels are composed of polypropylene plastic. 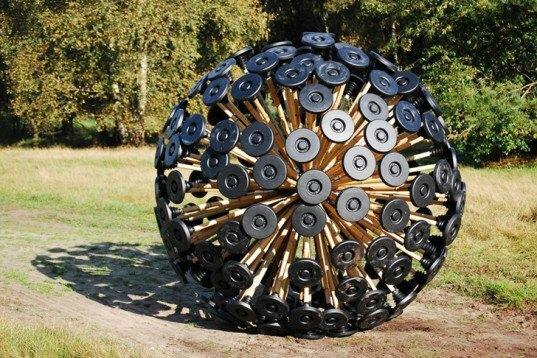 The body is completely recyclable, and at 1,653 lbs, very lightweight. The design allows the panels to turn the car from a sedan into a convertible, and an extendable rear deck can transform the configuration into a tiny pickup truck. The all-electric car is powered by four in-wheel motors and a lithium-ion battery mounted under the floor. Here at Bambu Batu, we have a great appreciation for natural fibers. Yet, there are some textiles that it can be a little hard to wrap our heads around. Case in point: hagfish slime. Yes, scientists have been working on developing thread from the defensive mucous of the eel-like marine animal. It turns out that the goo is affordable, abundant, and rivals spider silk in strength. Researchers at the University of Guleph in Canada were the first to take a good long look at a substance that most people do their best to avoid. The slime contains a number of proteins that are 100 times thinner than a human hair. After isolating the threads, the scientists found that they were 10 times stronger than nylon. The team will not have to only rely on harvesting the substance from hagfish as they can engineer bacteria to synthesize the proteins. Efforts to make spider silk this way has met challenge as the proteins are larger and difficult for the bacteria to create. Goats had been modified to produce the proteins in their milk, but using mammals greatly increases the cost of the material. One of the advantages to the slime lays in the fact that it can become a durable, organic alternative to petroleum-based cloths like polyester or Kevlar. And, if you really think about it, could wearing sea snot be all the much more gross than sporting silk? Would you wear a suit of slime? “No snow. No ski.” asserts the Soul Poles website. 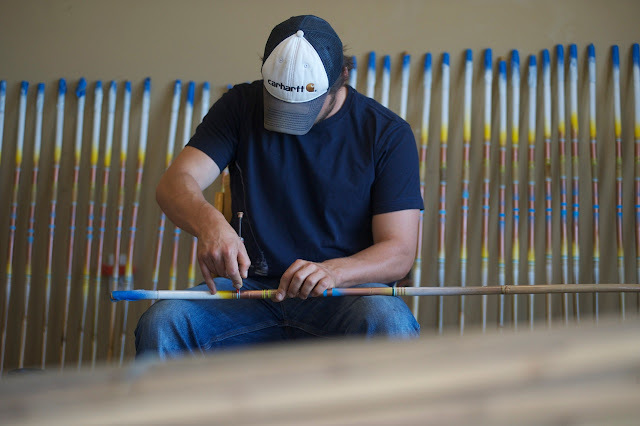 The company, based in Utah, makes ski poles out of bamboo and knows all to well the impact that global warming is having on the levels of alpine snow. Acknowledging the fact that climate change directly influences the success of their business, Soul Poles has committed itself to being as environmentally responsible as possible. Founded by former members of the U.S. Ski Team racers, the equipment is fashioned by hand in the United States, helping to create local jobs and and curb emissions that contribute to the rise of greenhouse gasses. Poles are available in models suited for both skiing and trekking. Fabricated using bamboo, recycled plastics, and recycled aluminum they are available in a natural finish or customized colors that use a low VOC water-based paint and clear coat. Sturdy and attractive, the body of the pole is 100% biodegradable. Ranging from $110-350, Soul Poles are a fantastic alternative to non-recyclable synthetic materials. In an effort to help the ski and snowboard industry become a little more green, Soul Poles has partnered with Recycle Utah to educate consumers on how to safely dispose of their unwanted gear. The company is also a member of 1% for the Planet, a non-profit that contributes a portion of total revenue to environmental organizations. Soul Poles also partners with World Cup Dreams, a group that assists winter sports athletes to achieve their goals as professional competitors, and Protect Our Winters which focuses on uniting and engaging the global snow sports community.